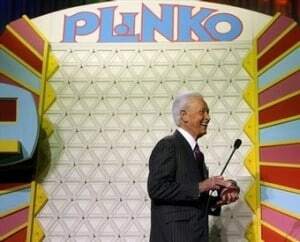 Plinko is a game of chance made famous by the game show “The Price is Right.” Chips are dropped down a board of pegs. The chips bounce off various pegs until they reach a slot on the bottom. No matter where you drop a chip, it will end up in one of the slots at the bottom. Despite efforts to influence the direction, the chips fall where they may. You have very little control over the outcome. Retiring IT assets can feel like a game of Plinko. There are many scenarios, and you never have complete control. Disposal inventories are often inaccurate. Trusted employees frequently steal equipment. Vendors will mishandle equipment. If asset tracking were a game of Plinko, there would be just two slots: tracked or untracked. Tracking is done by serial number. If a serial number matches, that asset is deemed tracked. Sometimes serial numbers don’t match perfectly, but they are similar enough to be considered a “likely” match. Maybe add a third slot. Regardless of the number of slots, if asset tracking were Plinko, what percent of assets land in the “tracked” slot? If you dropped 1,000 chips down a Plinko board, what is the probability all of them would end up in the same slot? When someone says every asset retired is tracked, it is like saying every chip landed in the same slot. Well, they are speculating (and haven’t actually played the game). Or, the game they play is rigged. So what is the probability a serial number match? 90%? 95%? Nope. The probability of a serial number matching is similar to playing Plinko with just two slots. In a multi-year study of tracking data, only about 47% of serial numbers can be matched successfully. When it comes to compliance and risk management, having a 50/50 chance of tracking retired assets is NOT a safe bet. Retire-IT is a better approach than gambling with compliance. We pioneered disposal tags to improve tracking. Instead of a 50% chance, disposal tags increase the odds of tracking to 99%. Asset tracking is not game. Chain-of-custody is not a catchphrase. The science of asset tracking can be quite complex. Retire-IT makes it simple. We developed a rules-based reconciliation to determine the disposition of every retired asset. Rules-based reconciliation is like a game of Plinko with 14 different slots. Unlike a game of chance, no matter what the scenario, Retire-IT is a safe bet.